Many people are beginning to become concerned by increasing natural disasters, global conflict, and political unrest and the smart ones want to do something about it. Unfortunately, increased awareness about disaster preparedness has caused an information overload. It is easy to become overwhelmed by the sheer amount of information available. 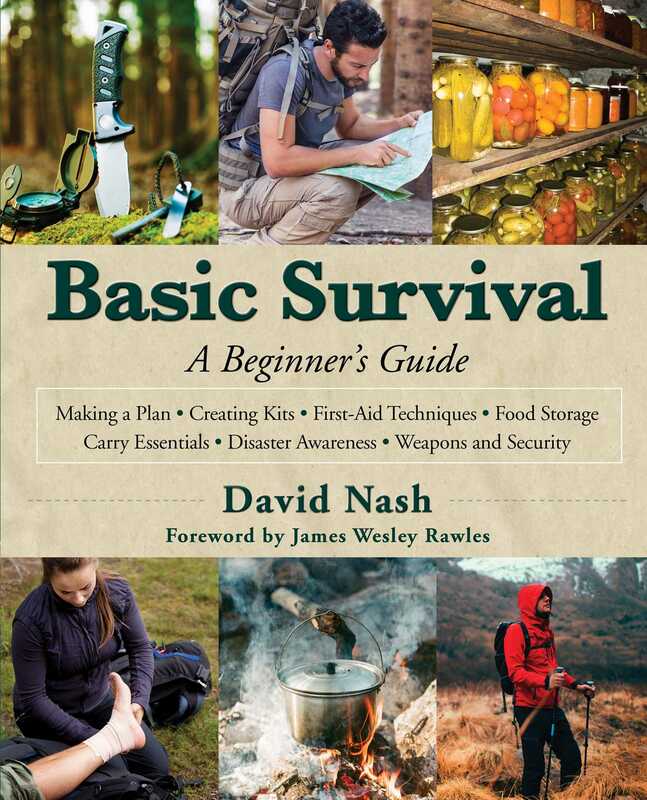 Basic Survival helps readers dig out from under the avalanche of preparedness information. It dispels myths, introduces concepts, and teaches the basics of how to start preparing for disaster. Author David Nash, a lifelong prepper and the author of 52 Prepper Projects and The Prepper’s Guide to Foraging outlines an all-hazards approach to disaster management similar to the ones used by the military and federal and state governments. Nash has over ten years of experience in government emergency management as a planner, a first responder, and as an emergency operations center manager. Basic Survival is a great resource that presents a strong foundation for being prepared when an emergency hits. David Nash has been in the firearms industry his entire life. After his service in the US Marines, he began work with the Tennessee Department of Correction where he gained certification as both an NRA instructor and agency firearm instructor. He is currently an NRA training counselor and works as a correctional academy instructor. Nash lives in middle Tennessee with his wife Genny, his young son William Tell, and a pretty smart dog.